When you need a garage door to update the appearance of your home in Jacksonville, or any other surrounding community in Florida, turn to the home improvement specialists at 31-W Insulation. We offer attractive solutions to your garage door problems, with a complete understanding of how important that door is to your home’s appearance. 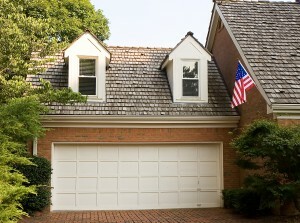 Garage doors can account for as much as 30 percent of your home’s exterior façade, which means it can either be a blot on your home’s otherwise attractive appearance, or it can enhance its curbside appeal. To ensure your home’s looking its best we offer garage doors manufactured by one of the country’s leading companies – Amarr® – a company that engineers attractive, durable doors with numerous design options you can choose from. Your choice of materials used to construct the door, including wood, steel, vinyl, or aluminum to suit your budget and maintenance requirements. A large selection of colors to choose from, so you can find a door that will complement your home without having to repaint it later. Numerous design elements that can enhance any door, including decorative hardware for an attractive accent, windows for added light in your garage, and light panels if you desire light but require privacy. Additionally, our doors are available with a wide range of insulation options for energy efficiency and noise reduction. And when 31-W professionals install your garage door, you can rest assured that it will look attractive and function flawlessly many years into the future. For more information about purchasing a garage door for your home in Jacksonville, FL, or any other community in the Sunshine State, contact 31-W Insulation today. We will be happy to answer your questions and provide you with a complimentary estimate for our services.